THE eurozone’s biggest players said last night that the “door remains open” if the Greek government comes up with “serious, credible” proposals at today’s emergency eurozone summit. French president François Hollande and German chancellor Angela Merkel sat down for talks in Paris last night in a hastily scheduled meeting in a bid to end the standoff with Greece. Today European leaders will meet in Brussels to hold crisis talks aimed at finding a solution to the escalating financial meltdown in Greece. In an uncompromising joint message after their preparatory talks, Ms Merkel and Mr Hollande said Athens had yet to demonstrate that it was ready to shoulder its share of responsibility. The urgency of the situation was starkly underlined by the decision of the European Central Bank (ECB) effectively to make it harder for struggling Greek banks to access emergency credit. That could lead to still-tighter restrictions on cashpoint withdrawals and means branches are unable to open again in the next few days. As they began a working dinner to discuss the crisis, Ms Merkel and Mr Hollande each delivered a brief statement in which they made clear they respected the democratic verdict of the Greek people to reject the bailout terms. But the German chancellor – the most influential voice among the creditors meeting to hear Greek prime minister Alexis Tsipras’ latest proposals today – made clear she saw the rejected terms as being “very generous”. Mr Hollande noted that all Greek political parties had stated a desire to keep the country in the single currency. “It is up to the Greek government now to make the serious, credible proposals necessary for that to be able to happen,” he said – warning that time was short to find a solution. The European Union was based on a balance of solidarity between countries and the responsibilities of each member state, he said – suggesting that was the balance that Greece had to strike. Markets yesterday had remained relatively stable despite the Greek people apparently edging their country closer to leaving the central currency with a decisive rejection of the terms of a new international bailout in Sunday’s referendum. After dropping by more than 70 points in the morning, the FTSE 100 Index closed 50.1 points lower at 6535.7. As the European Union faced what is widely seen as the deepest crisis in its history, Prime Minister David Cameron yesterday spoke to Ms Merkel and met Chancellor George Osborne and Bank of England governor Mark Carney to discuss contingency plans in place to protect UK businesses, banks, holidaymakers and the 40,000 expats living in Greece. Downing Street made clear that Mr Cameron believes Athens and its eurozone partners must now work together on a sustainable solution to the problems caused by Greece’s failure to keep up interest payments on its international debts. His spokeswoman declined to say whether the PM thought the solution should involve Greece leaving the single currency. Mr Osborne told MPs the “prospects of a happy resolution to this crisis are sadly diminishing” and warned that the UK would not escape the fallout despite remaining outside the eurozone. “Britain will be affected. The longer the Greek crisis lasts, the worse it gets. “There is no easy way out, but even at the eleventh hour we urge the eurozone leaders and Greece to find a sustainable solution,” he said. The financial situation in Greece could be expected to “deteriorate rapidly” if there was no signal from meetings scheduled for the next 48 hours that Athens and eurozone governments were ready to get back around the table, he said. With limits imposed on withdrawals, tourists have been warned to take sufficient cash to cover expected costs and emergencies and to ensure they have supplies of their prescription medicines in case of shortages. Pensions continue to be paid as normal to expat Britons living in Greece, with 2,000 people advised on switching payments to non-Greek bank accounts, and measures have been put in place to support British firms facing cashflow problems as a result of capital controls imposed by the Greek government, Mr Osborne said. Staffing levels have been increased at the UK embassy in Athens, and more consular staff have been deployed on the islands of Crete, Corfu, Rhodes and Zakynthos to help British nationals. Financial market reactions had so far been “relatively contained” and Britain’s private sector exposure to Greece was far less than three years ago, the Chancellor added. The result of the referendum was a sensational victory for radical-left prime minister Mr Tsipras and his Syriza party, who had gambled everything on the outcome. Following the result, finance minister Yanis Varoufakis stepped down from his post, saying that some eurogroup leaders had made clear a fresh agreement with creditors would be more likely if he was not part of future talks. Greece’s future membership of the single currency has been thrown into doubt by voters’ rejection in Sunday’s referendum of an austerity package demanded by the country’s creditors in return for further bailouts. 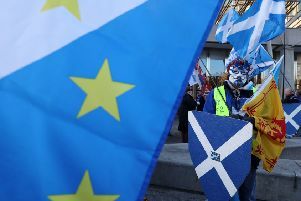 The 61 per cent to 39 per cent No vote has plunged the EU into what is widely seen as the deepest crisis in its history. European Commission vice president Valdis Dombrovskis insisted the “stability of the euro area is not in question” and authorities stand ready to “do whatever is necessary”. British tourists are not advised to steer clear of Greece, but recommended to make sure they take “sufficient euros in cash to cover the duration of your stay, emergencies, unforeseen circumstances and any unexpected delays” as well as to take security precautions against theft.